Hampton Inn by Hilton Detroit Dearborn, MI is a hotel offering accommodation in Dearborn. 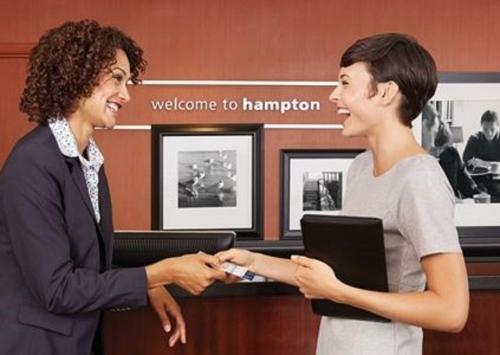 This 3-star hotel offers a 24-hour front desk and a cash machine. The hotel boasts an indoor pool, fitness centre and free WiFi throughout the property. Guests have access to the on-site business centre where they can make use of the luggage storage service. Detroit is 17 km from the hotel. the hotel Hampton Inn by Hilton Detroit Dearborn, MI so we can give you detailed rates for the rooms in the desired period.